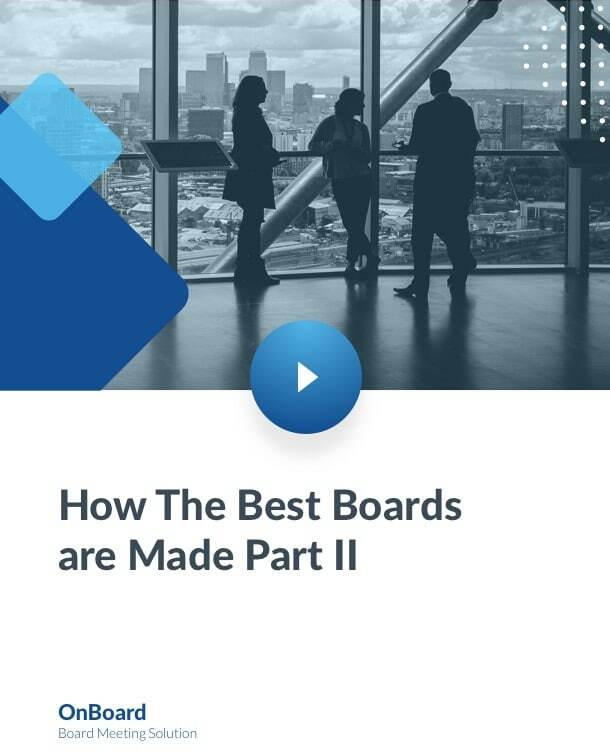 The most compelling insights and best practices for board directors, executives, and administrators. 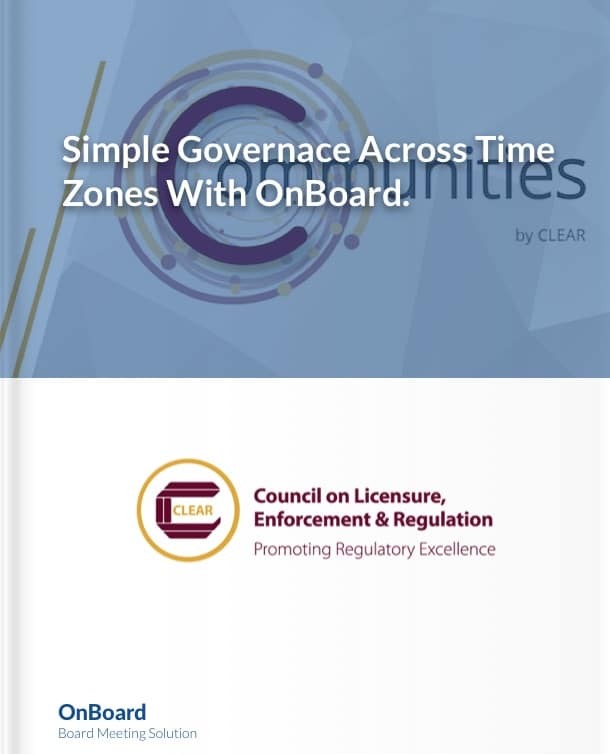 A Complete Governance Solution for Directors, Executives, and Administrators. 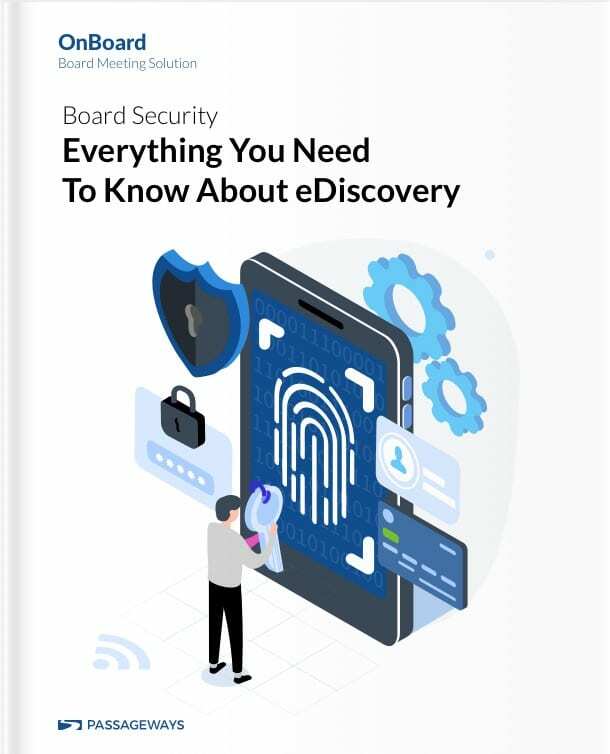 Explore OnBoard's Features, Security, and Capabilities. 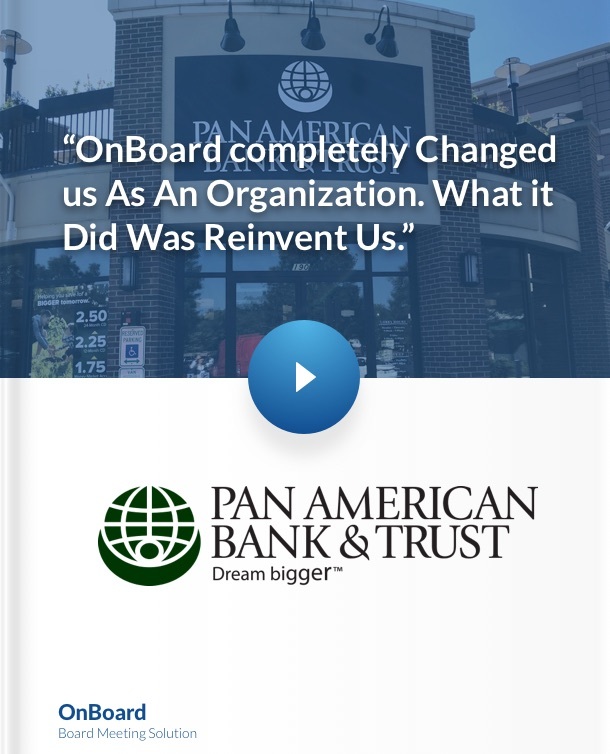 "OnBoard really changed us as an organization." 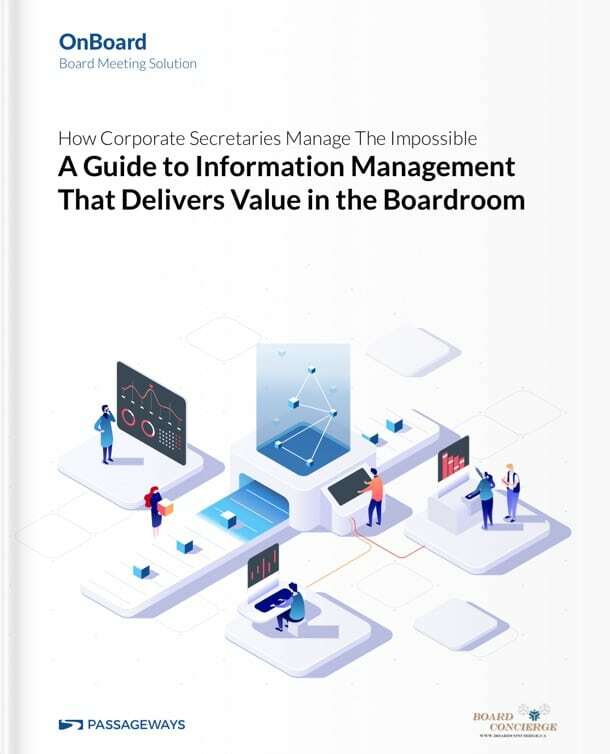 How to Think & Act Like a Professional Information Manager. 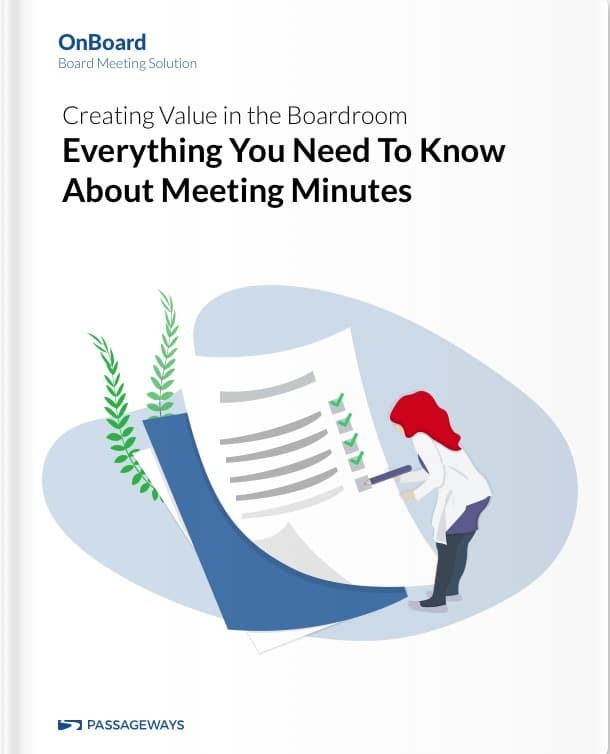 How to Write Effective Meeting Minutes and Create Value in the Boardroom. 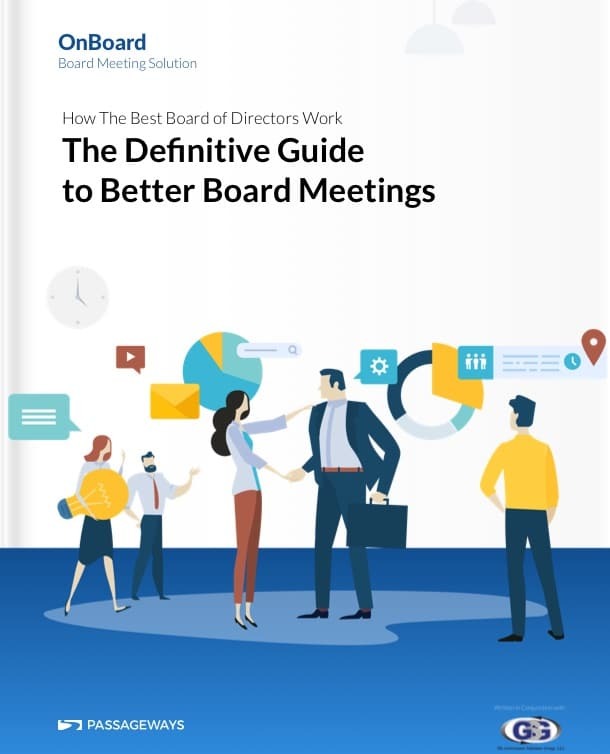 The Definitive Guide To Better Board Meetings. 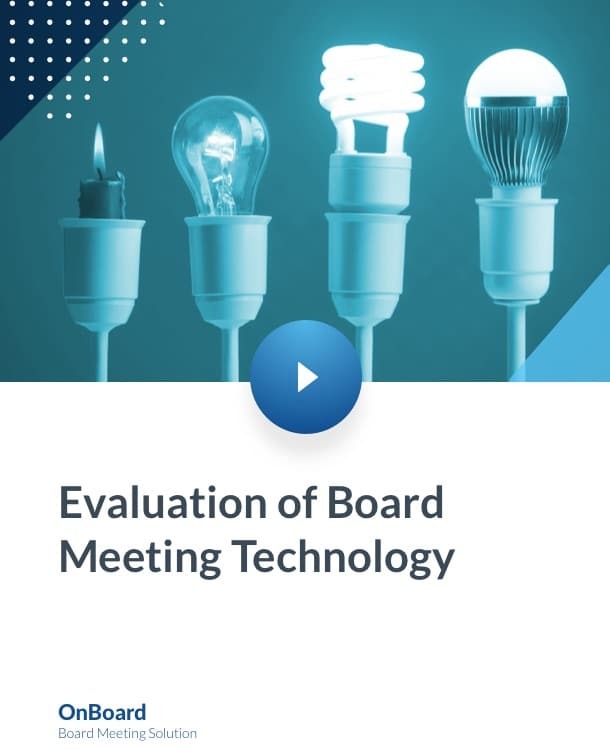 How to Select a Vendor and the Evolution of Meeting Technology. 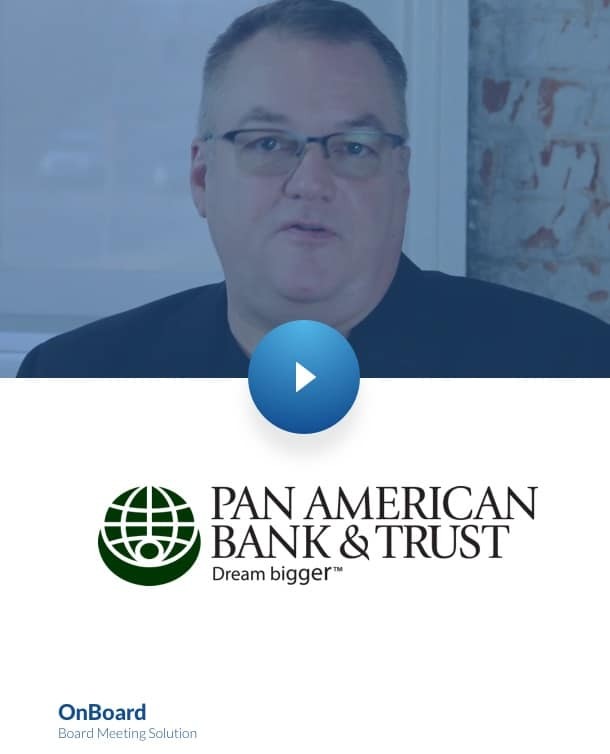 "The Importance of Two-Factor Authentication Became a Priority." 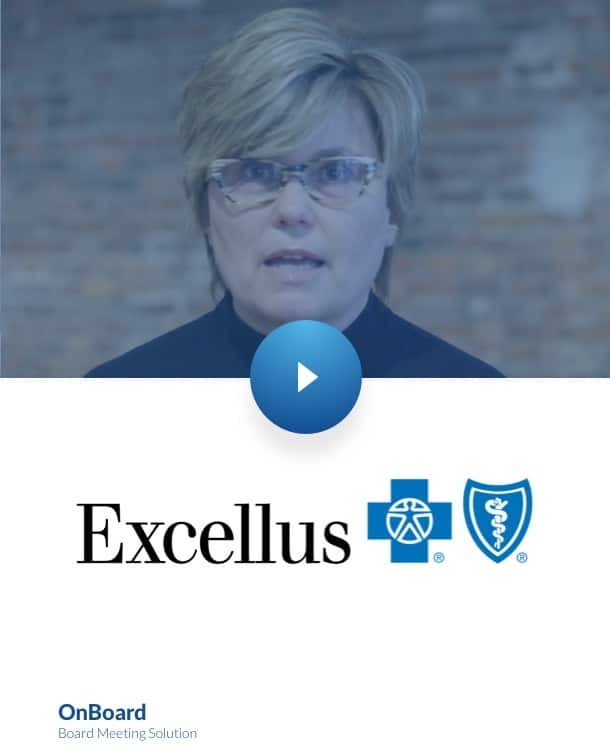 Improving Collaboration Across Committees and Cities. 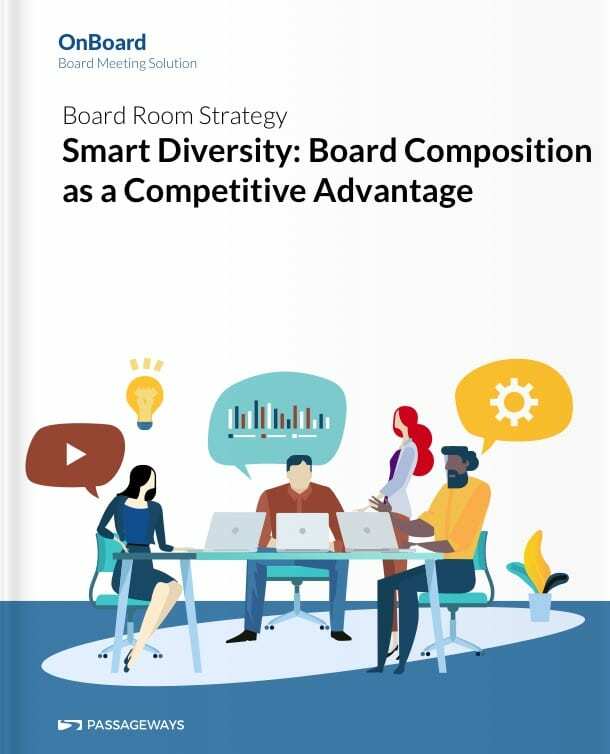 Board Composition as a Competitive Advantage. 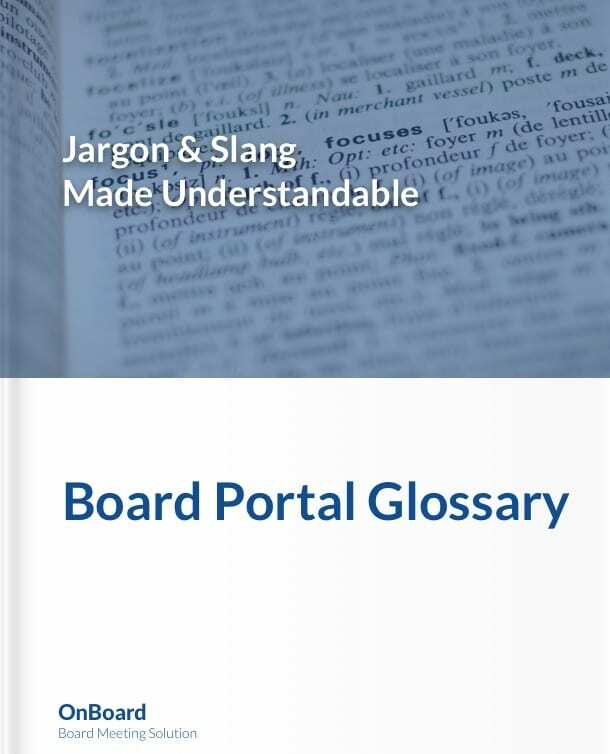 Common Board Governance Definitions, Acronyms, and Jargons, Simplified. 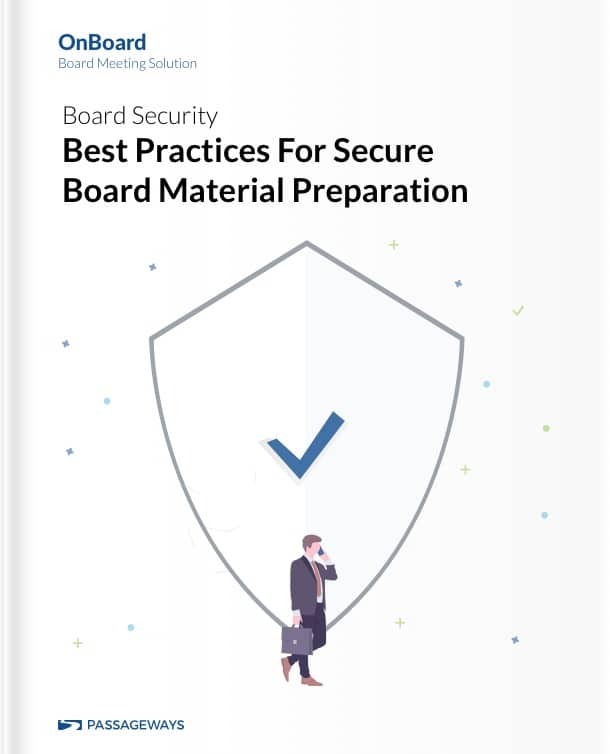 Strategies to Securely Deliver Materials via Paper, Email, & Board Portals. 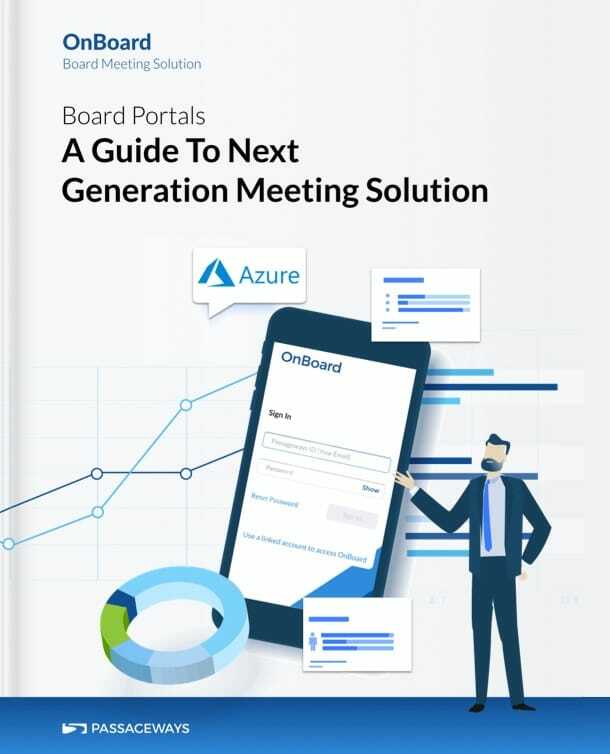 A Free Guide From Board Veterans for The Best Meetings You’ll Ever Had. 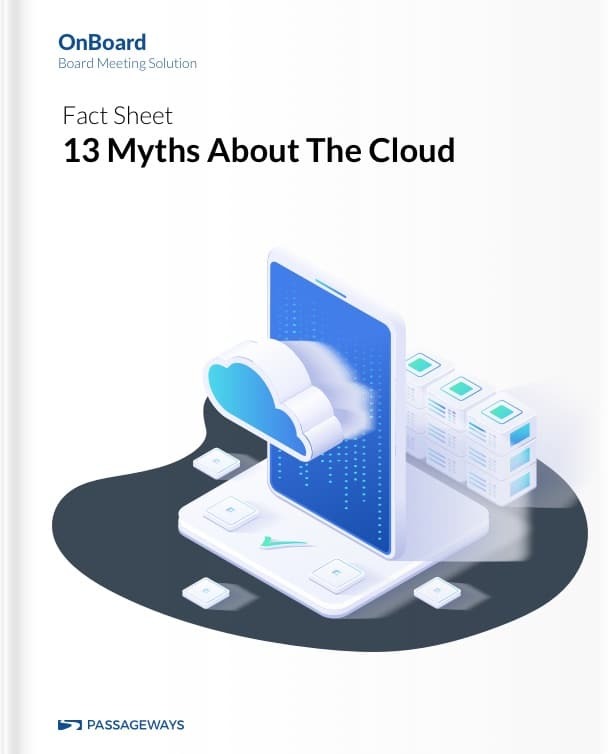 Dispelling the All Too Commons Myths About Cloud Computer. 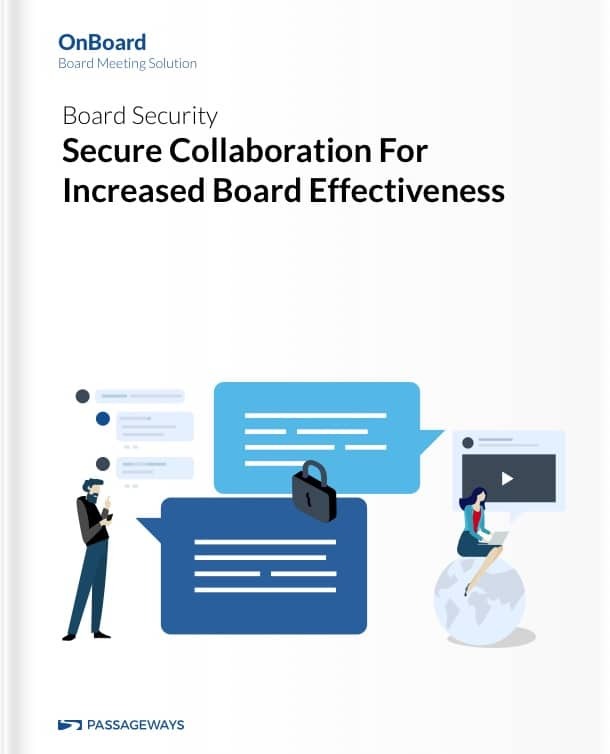 Secure Collaboration for Increased Board Effectiveness. 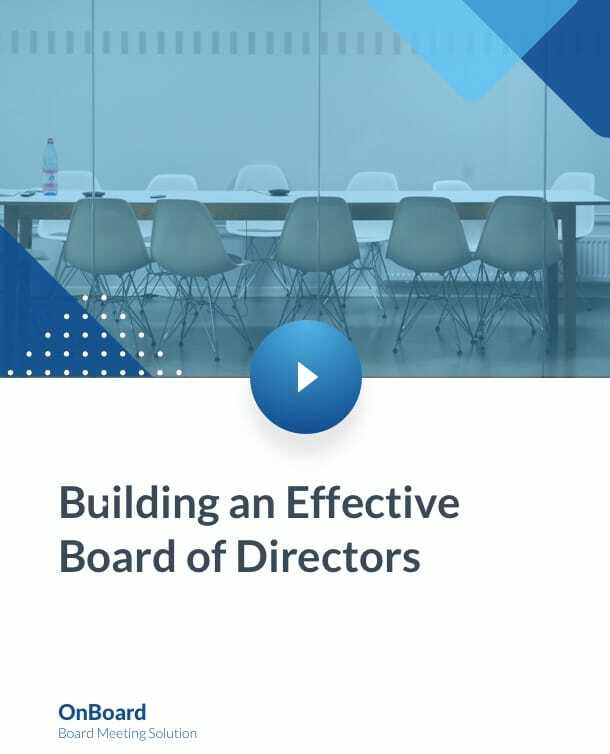 How Leaders & Board Should Create an Experienced ‘Go-To’ Team. 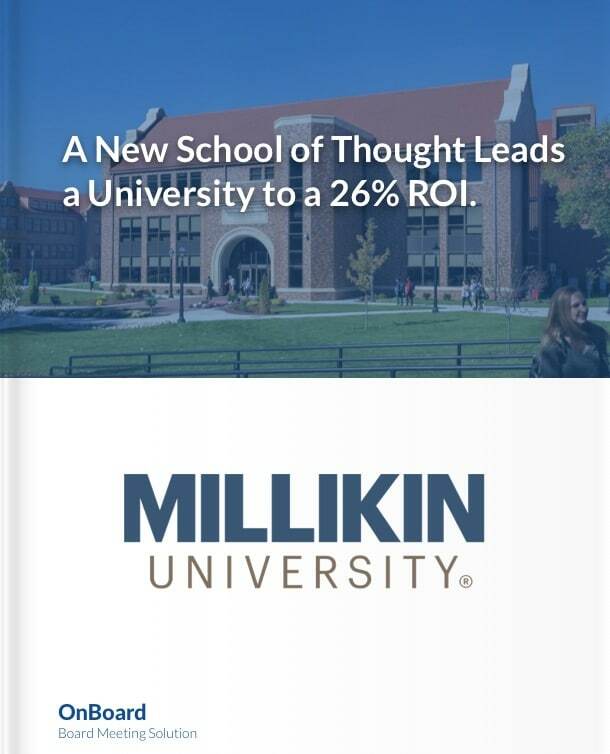 A Board Initiative That Bolstered Compliance With a 272% ROI. 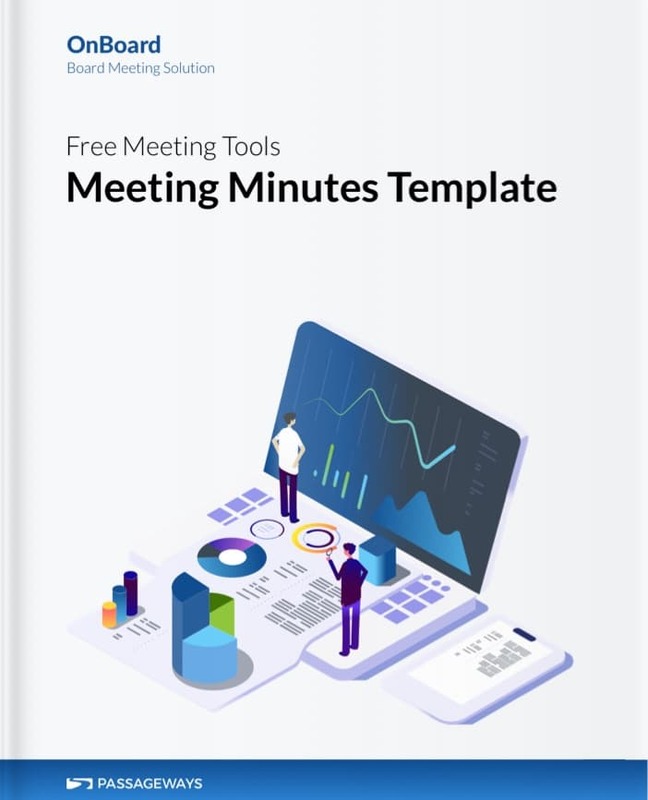 Meetings Are Often Lost Opportunities, But They Don't Need To Be. 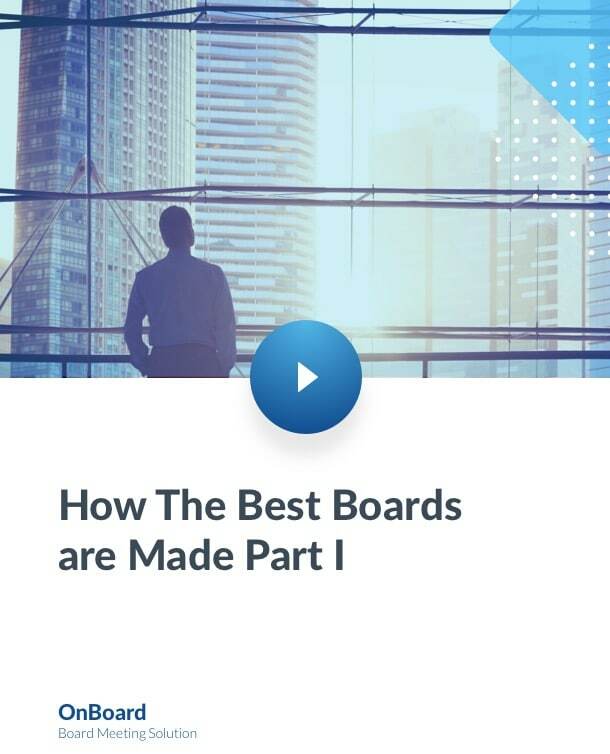 Guest Kris Veaco Offers on Creating a New Generation of Board Leaders. 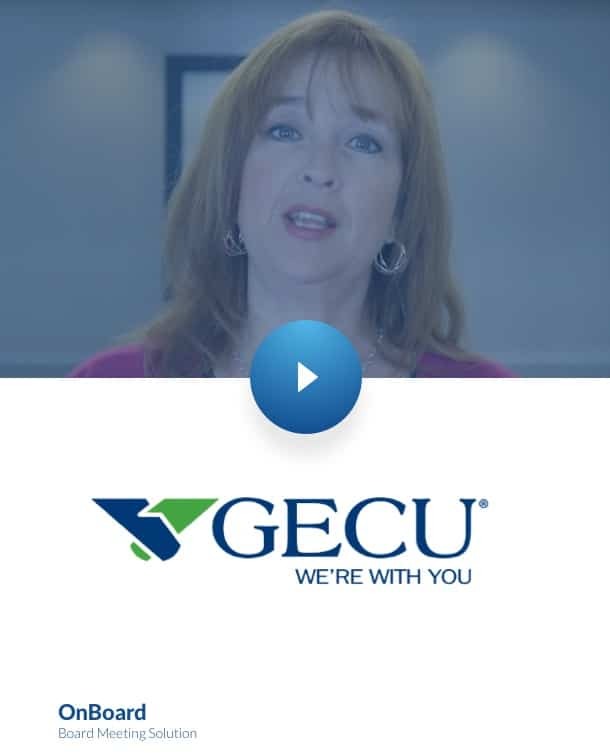 Guest Denise Kuprionis on How a Diverse Board Give a Competitive Edge. 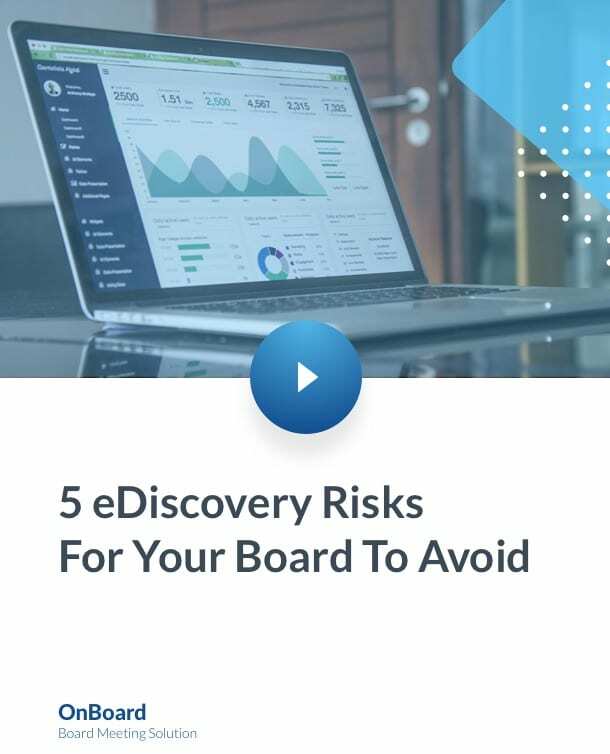 Guest Kelly Twigger on Protecting Your Board Against eDiscovery Risks. 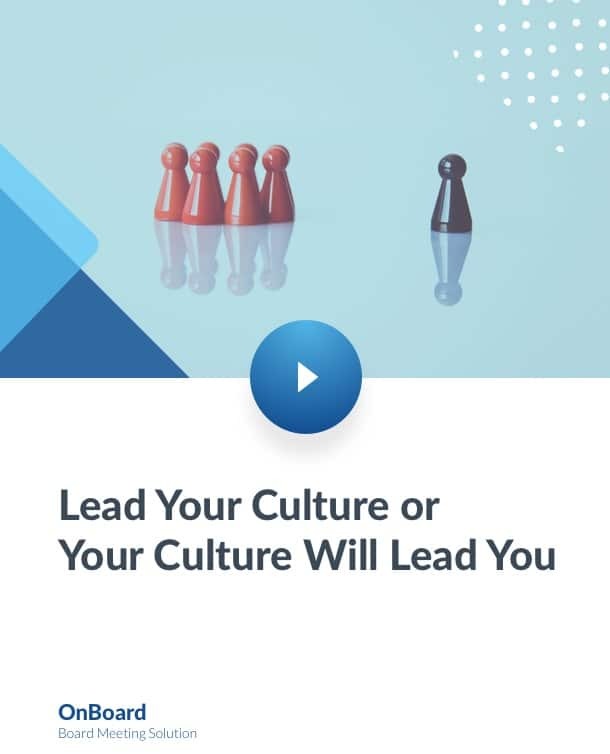 Steven Rice from the Bill & Melinda Gates Foundation on Leadership & Culture. 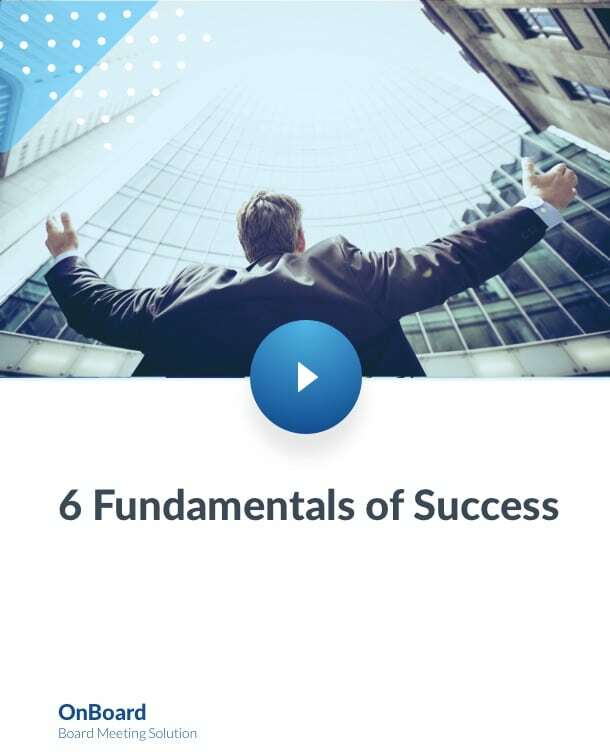 Guest Stuart R. Levine on Creating a Culture of Results. 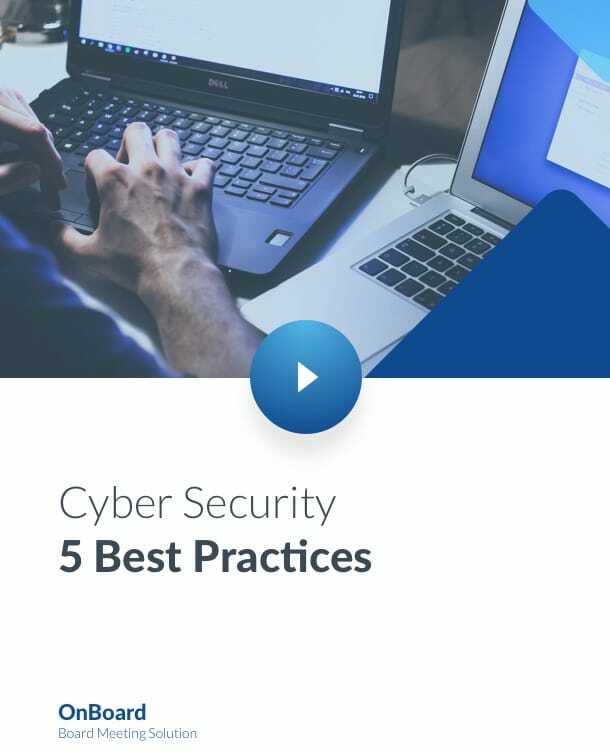 Guest Gary Steele, Leading Cybersecurity, Expert on Shielding Your Board Online. Evolution from Meeting Technology: Paper to the iPad and Between. 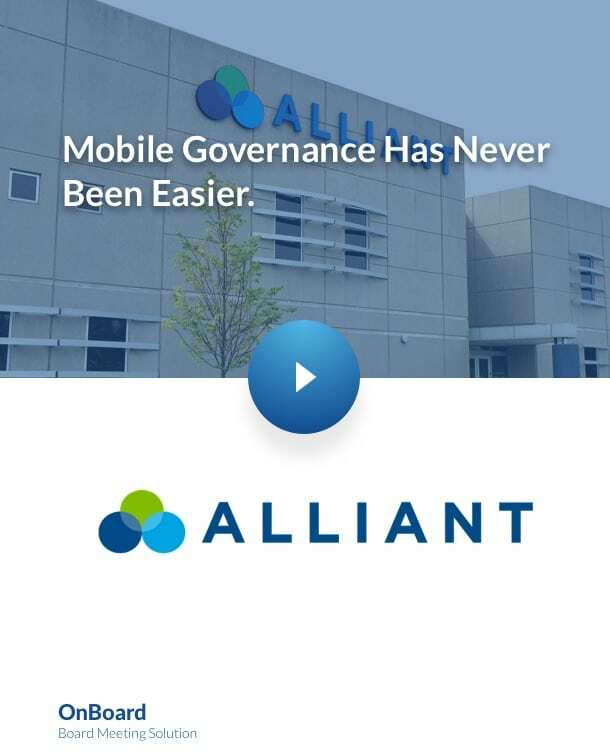 The CLEAR Choice for Governance Excellence. 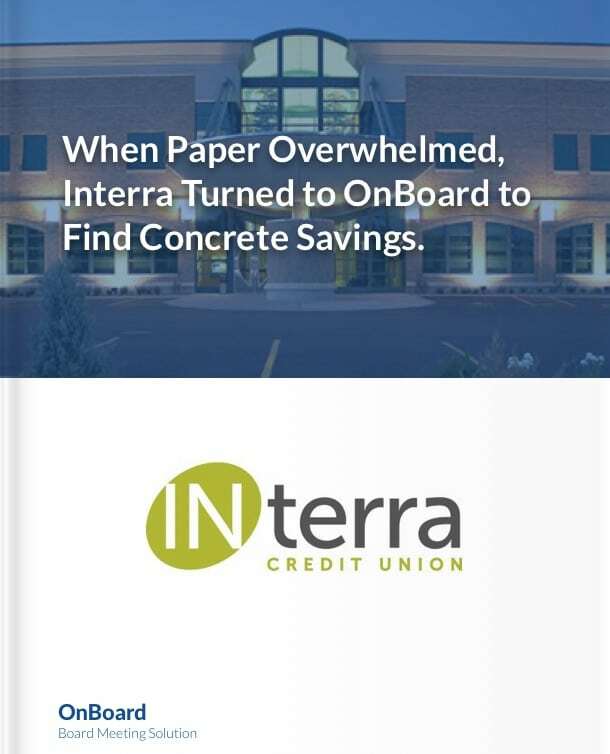 A Credit Union's Success Results in a Vow to Never Return to Paper. 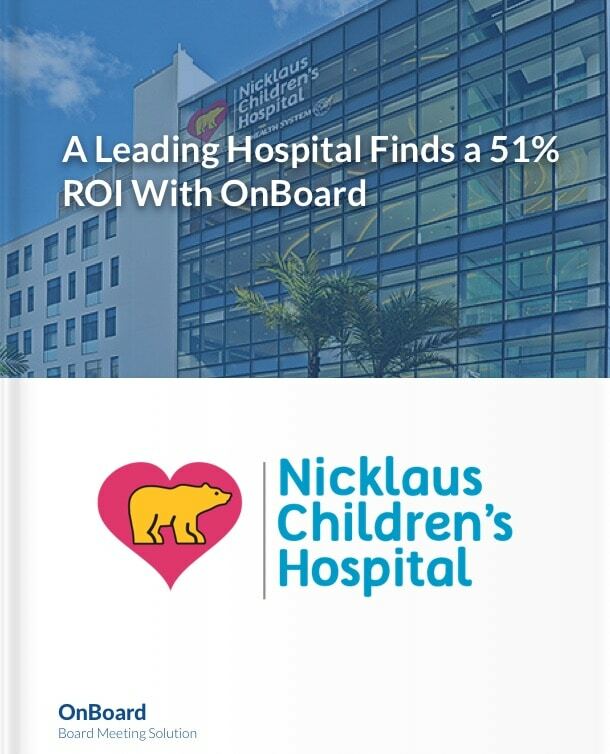 A Leading Hospital Creates a to Secure Collaborative Environment. 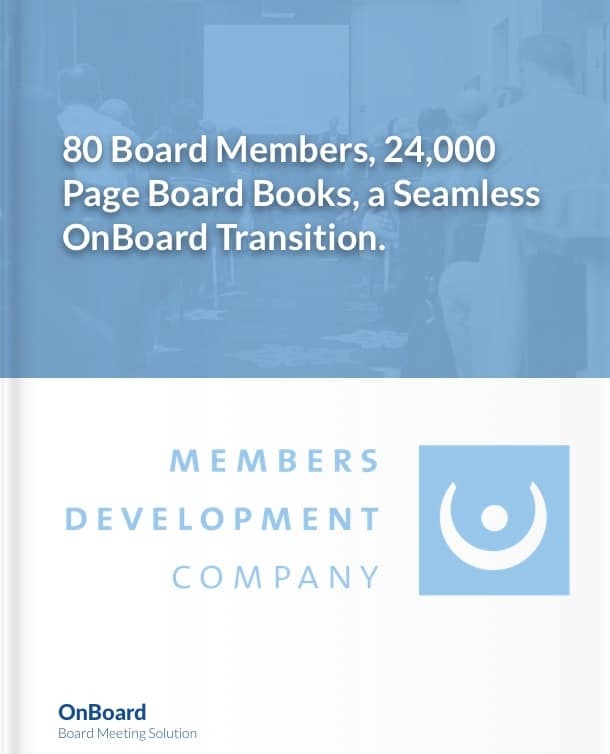 An 80 Attendee Meeting Seamlessly Transitions to OnBoard. 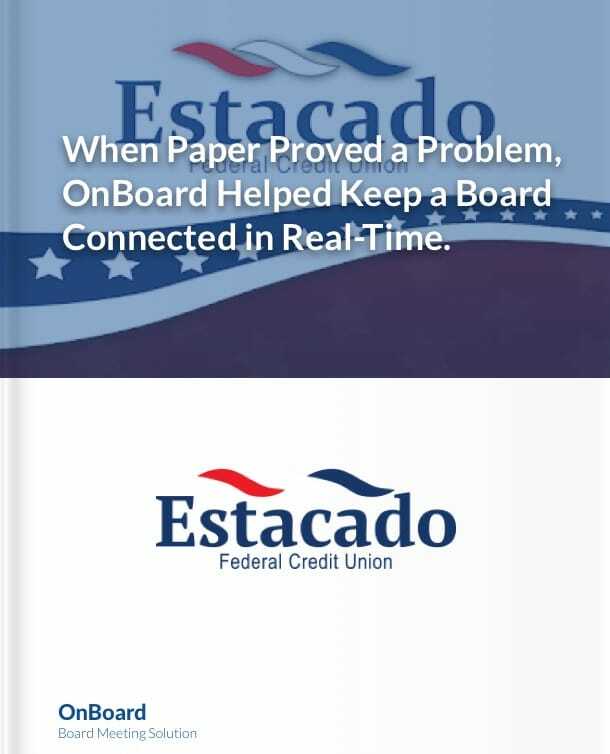 A Leading Credit Union Cuts Out Paper Making Meetings Easy. 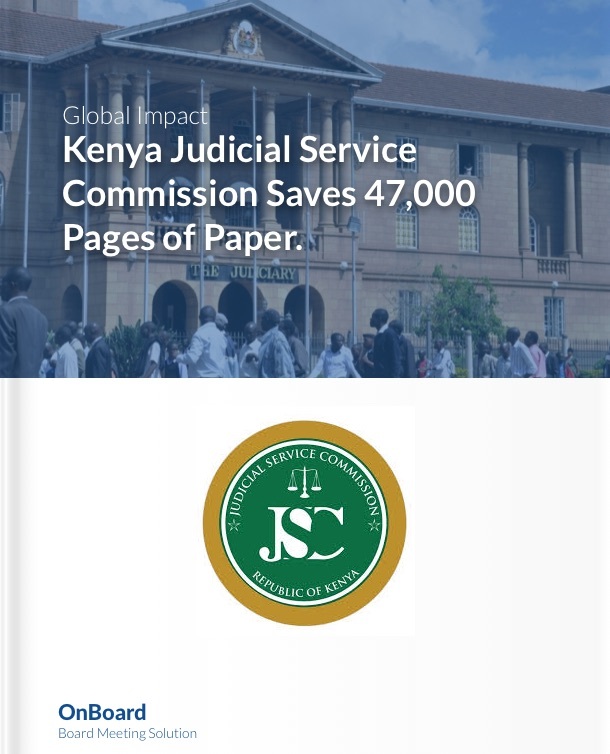 47,000 pages of paper saved. 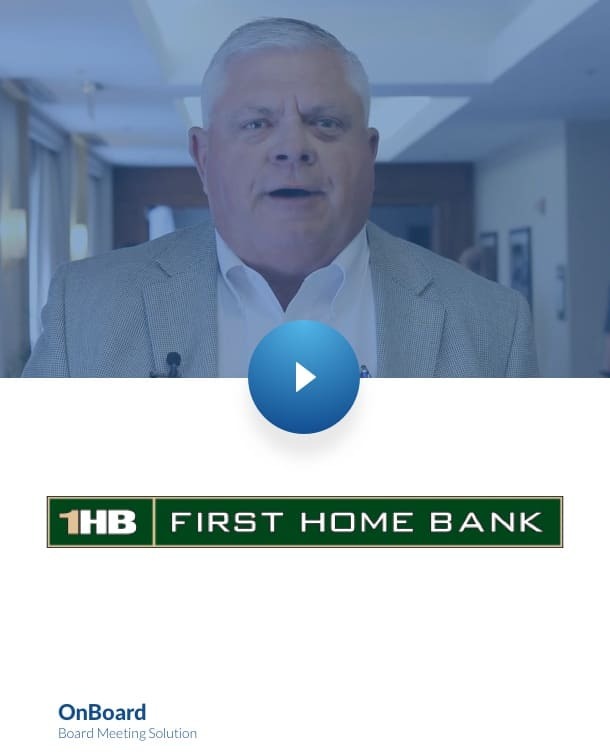 A Culture of Success with Real Savings. 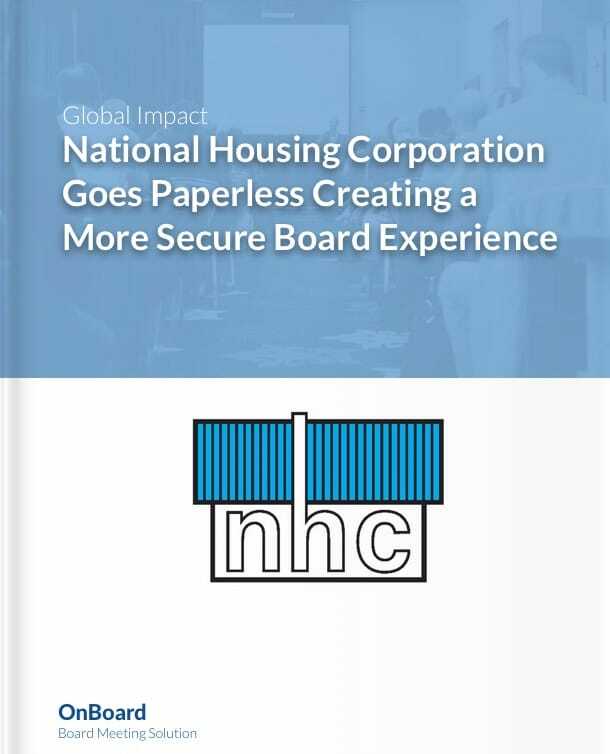 How Going Paperless Created a Secure Boardroom Experience. 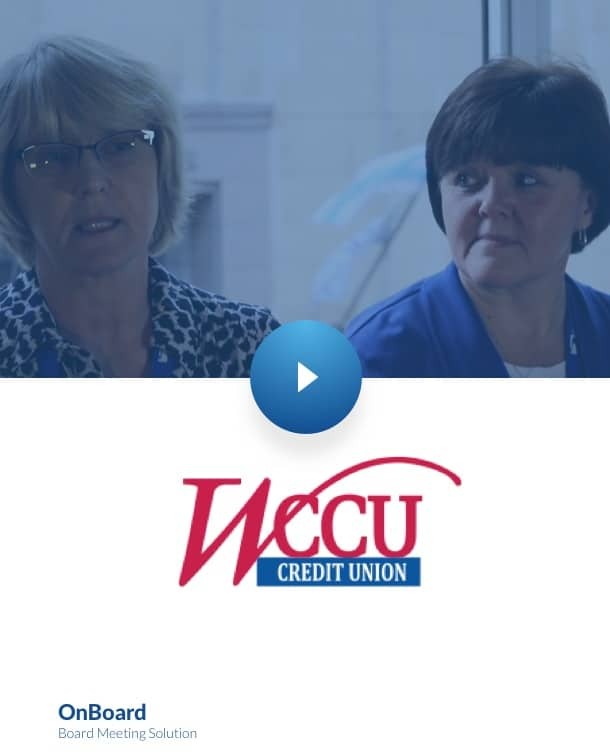 Heather Fehn Discusses the Value Her Trustees Immediately Experienced. 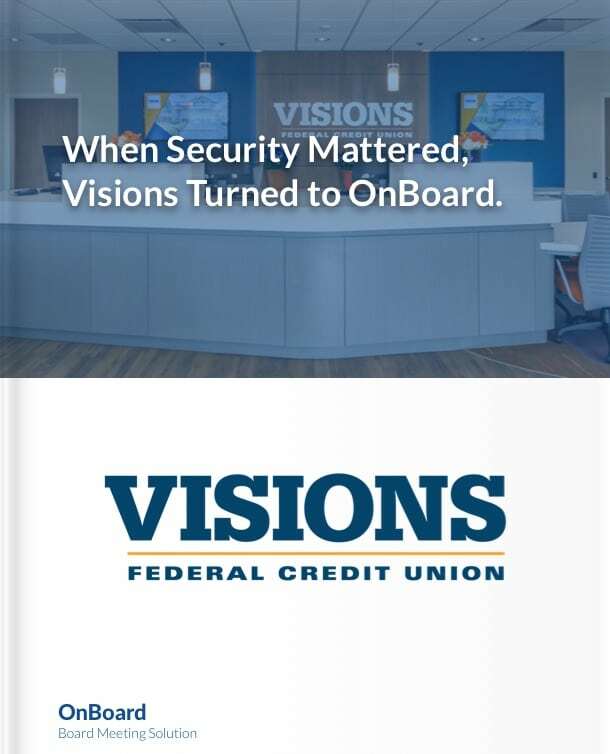 "I am telling you, OnBoard really changed us as an organization." 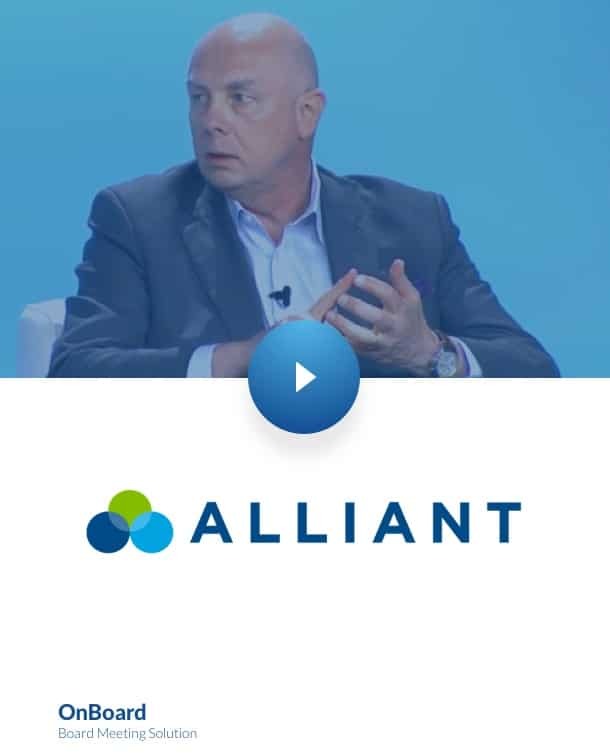 How Alliant Has Transformed Their Remote Meetings With OnBoard. 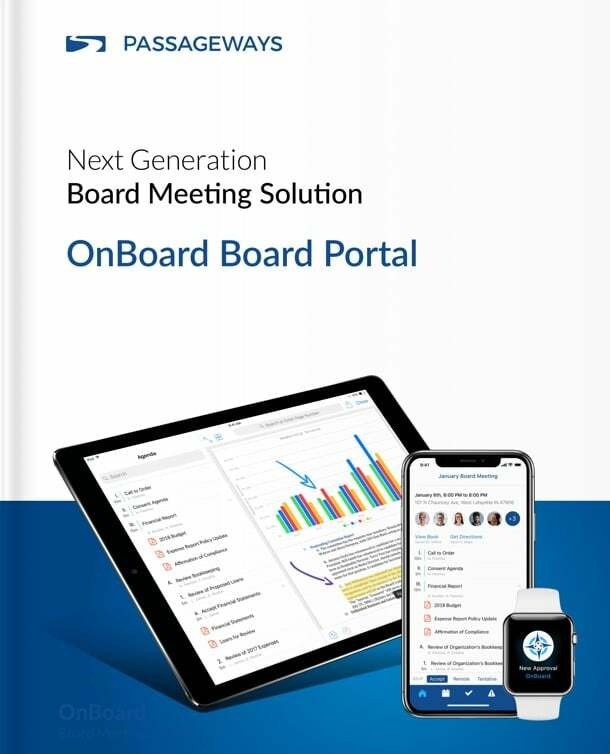 "Every Meeting We Have will be OnBoard. It's the way to go." 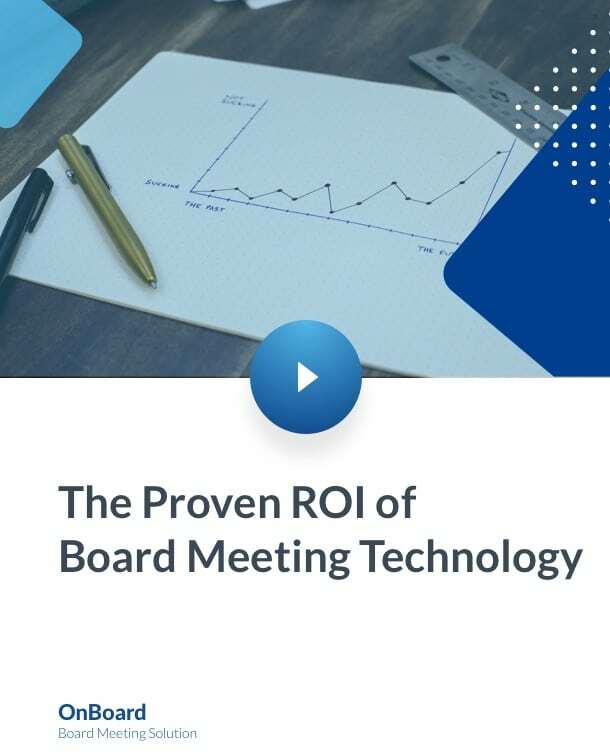 "Simply, Our Board Members Really Enjoy Using OnBoard." 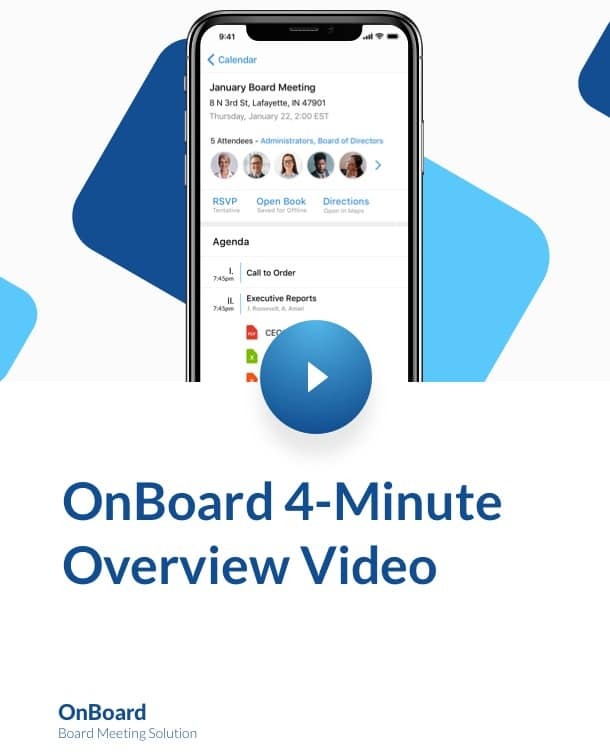 It's proved so easy and accessible that "Everyone should be using OnBoard." 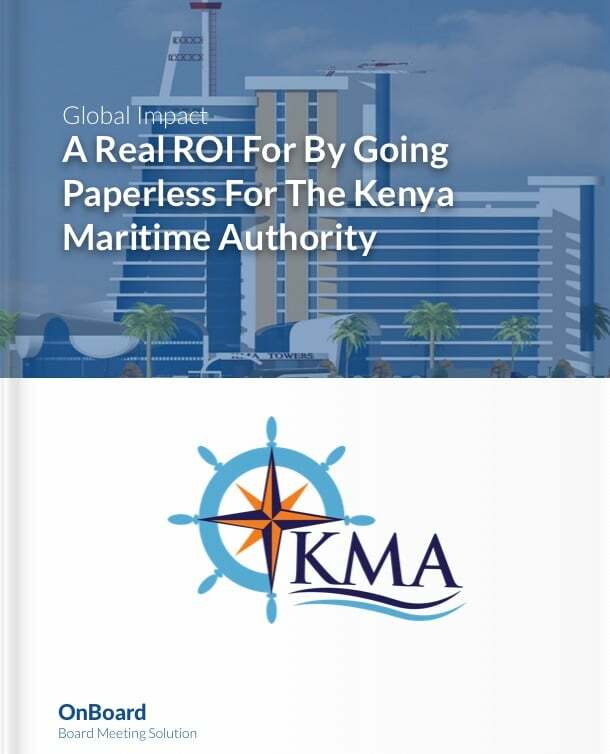 "OnBoard Saved Us Time, Paper, and Our Directors are More Prepared." 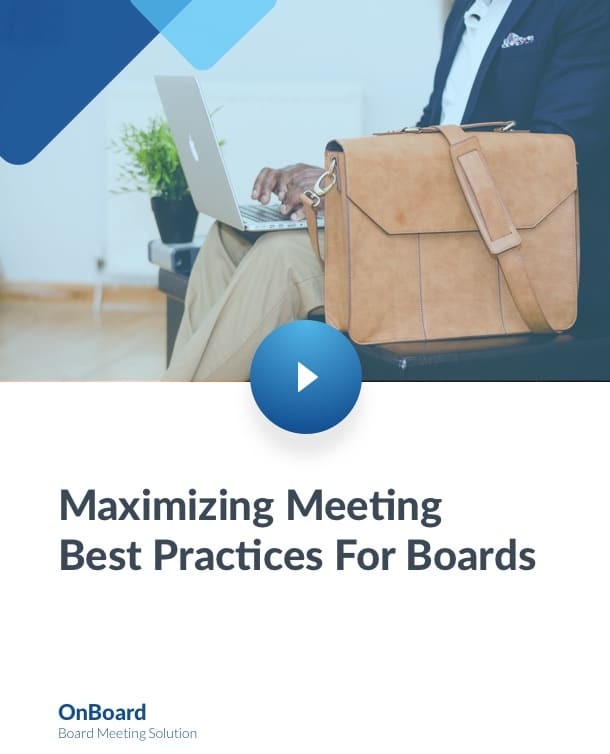 This Minutes Template Provides Your Board Best Practices for Good Governance. 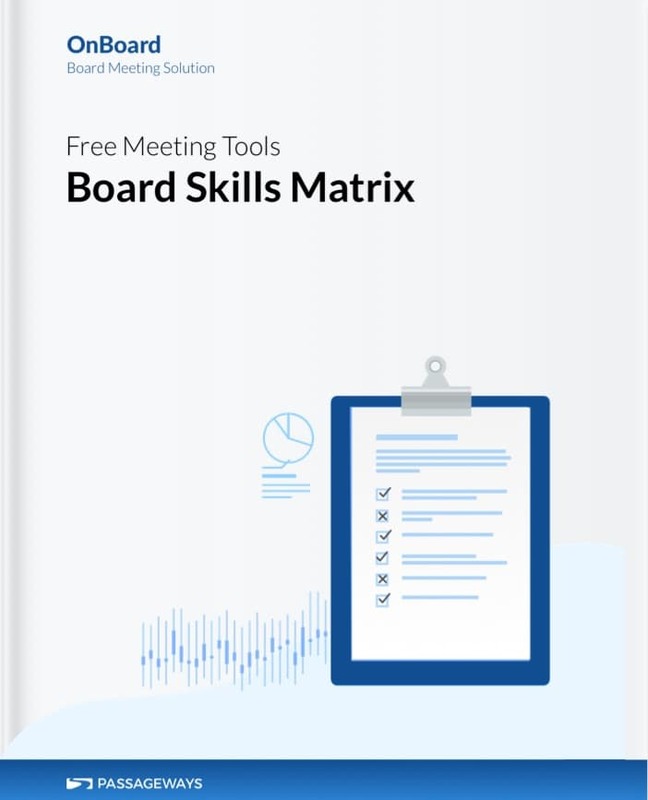 The Assessment Matrix Assess Your Board's skills, background, and Experiences. 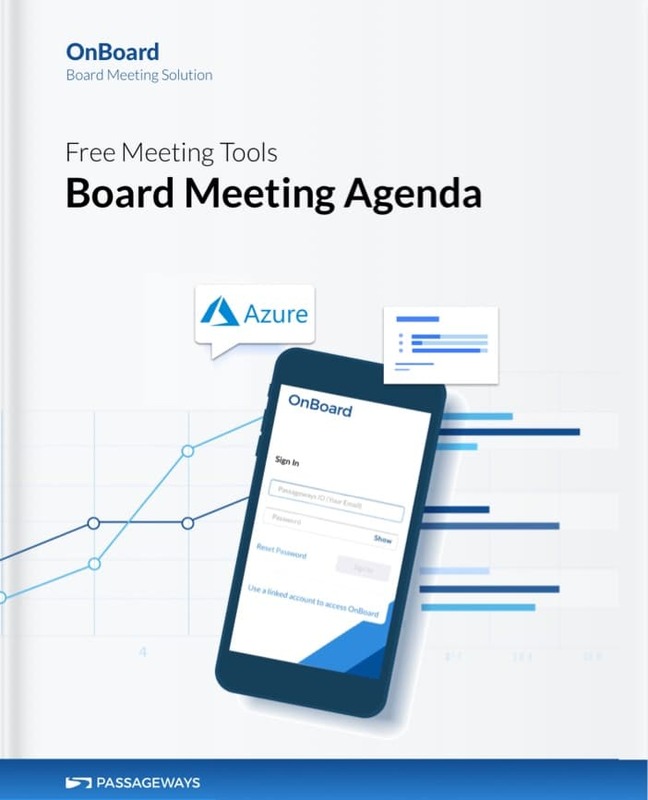 Develop an Agenda That's Focused on Creating a Purpose Driven Meeting.